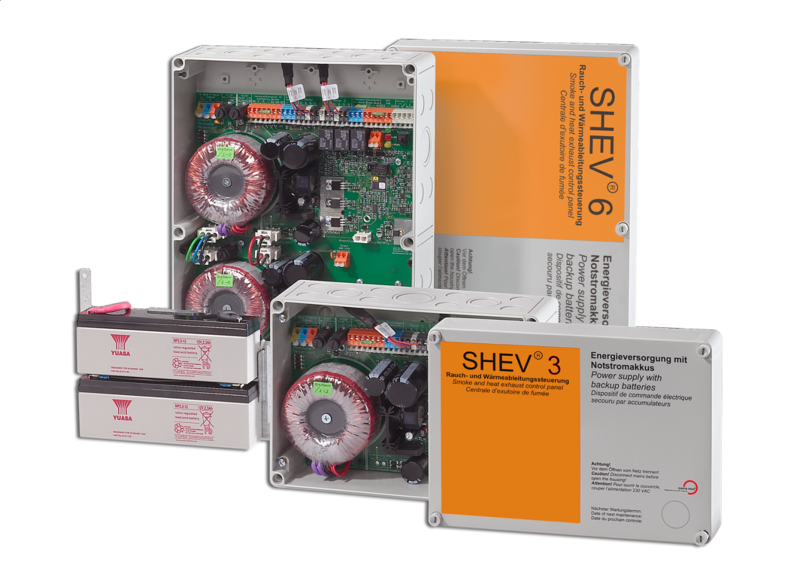 The SHEV® compact control center is the heart of the SIMON PROtec SHE system for stairwells. It is a compact device that was designed according to DIN EN 12101 part 9 and part 10. 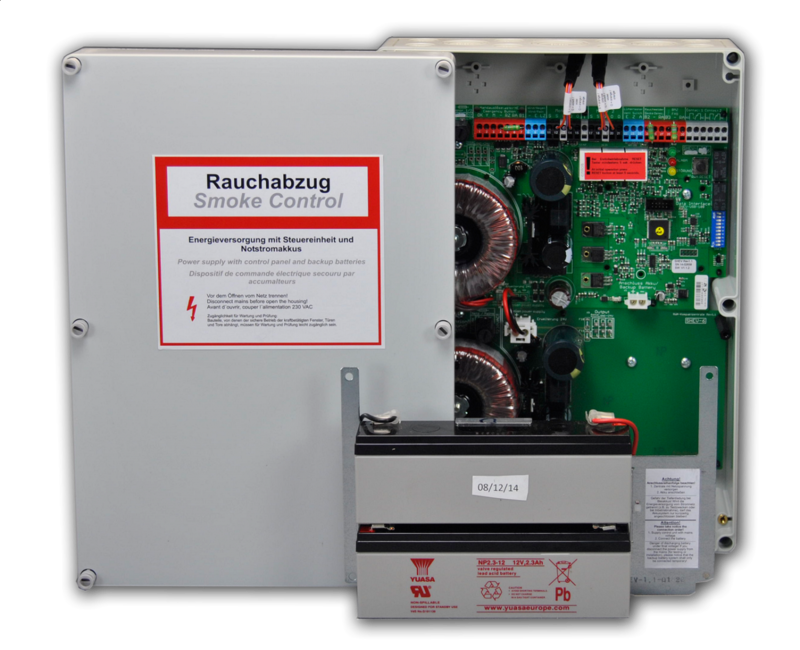 The control system includes a primary and secondary power supply as well as the entire control technology for the operation of 24 volt DC actuators for building openings. 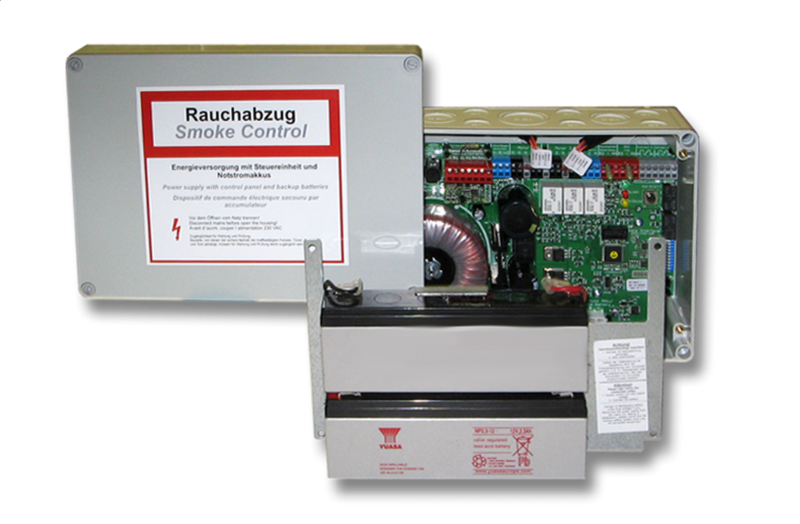 The compact control unit controls the actuators in the event of fire and for daily ventilation. Special ventilation functions (night ventilation, deadman function, automatic ventilation) are freely and individually programmable for the user. The ventilation function is also a daily functional check of the SHE system. 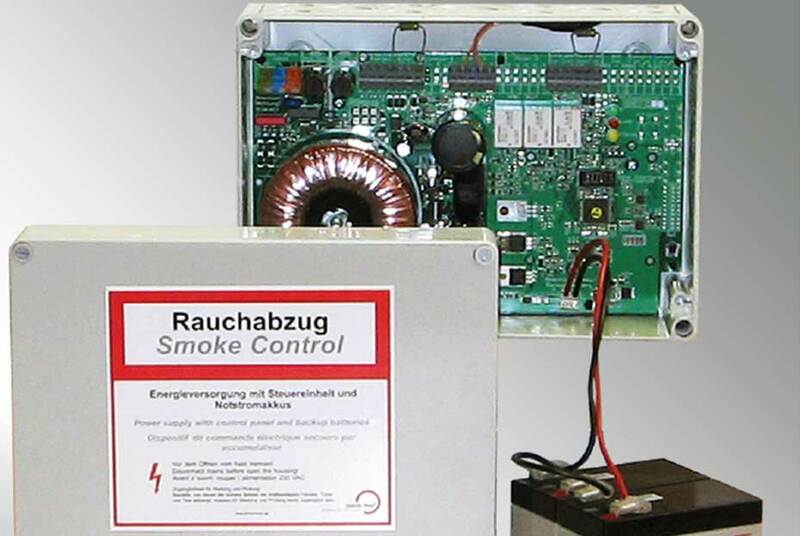 The manual or automatic triggering of smoke and heat dissipation activates actuators or fittings that release the openings in the wall or roof area intended for smoke extraction. 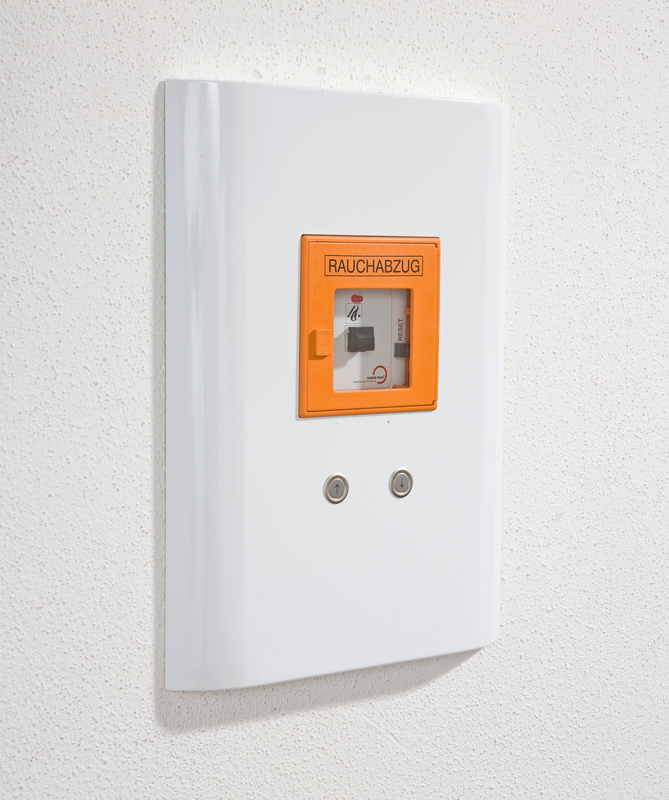 The SHEV is specially designed for SHE use in staircases and offers all the necessary connections for tripping devices (push buttons, smoke detectors, thermo detectors and fire alarm systems). 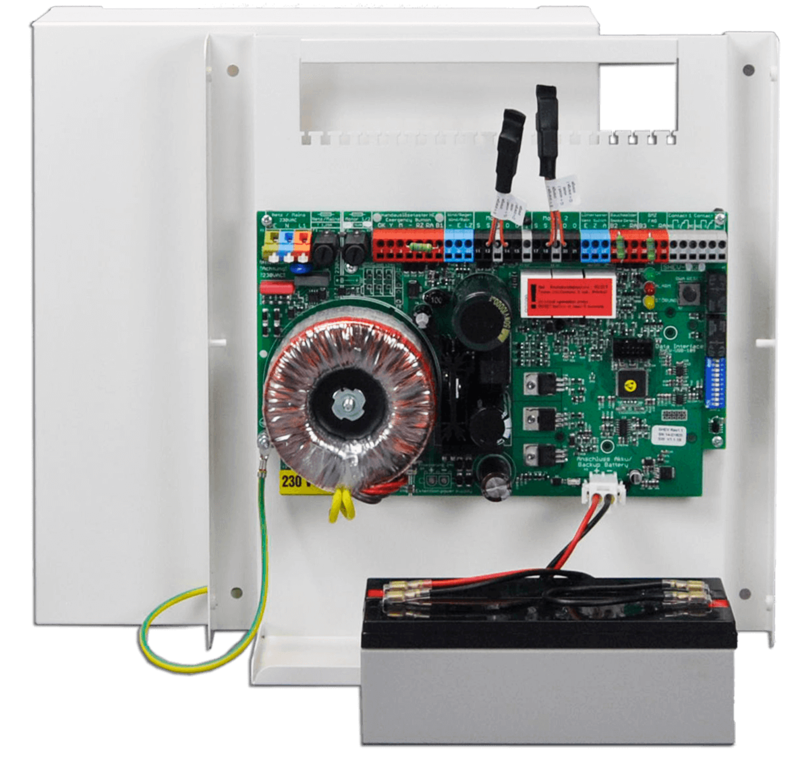 Designed for daily ventilation applications, the following components can be connected: wind / rain detectors, vent buttons, EIB KNX modules, timers and higher-level control systems. The connecting cables for SHE pushbuttons, on-site tripping contacts and motors are monitored. Remote diagnostics via GPRS optionally allow maintenance and fault diagnosis without costly travel. Functional control is easier than ever. 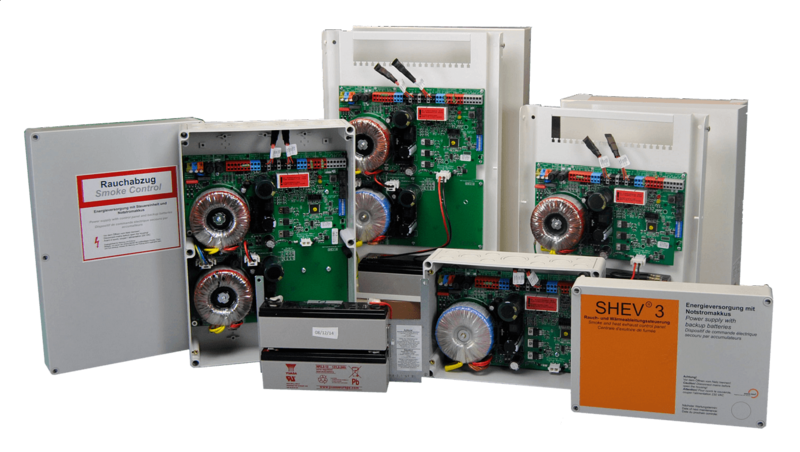 The SHEV compact central unit is equipped with status LEDs on the motherboard (GREEN = I. O., YELLOW = N.I.O., RED = SHE alarm triggered). A connected ventilation button with OPEN / CLOSE function can be assigned or selected with different action behavior. 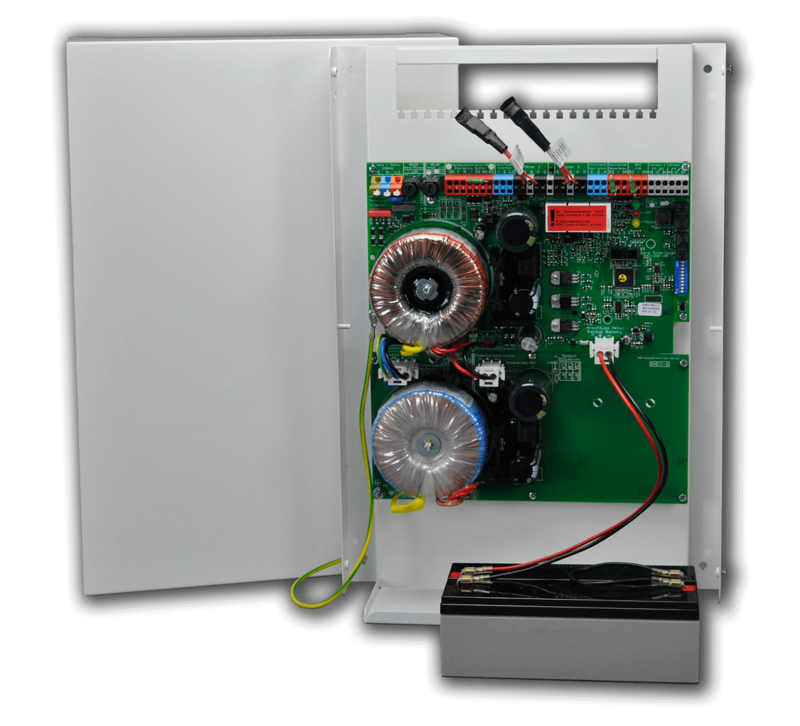 The selections are configured using the SW1 selector switch on the SHEV® board. 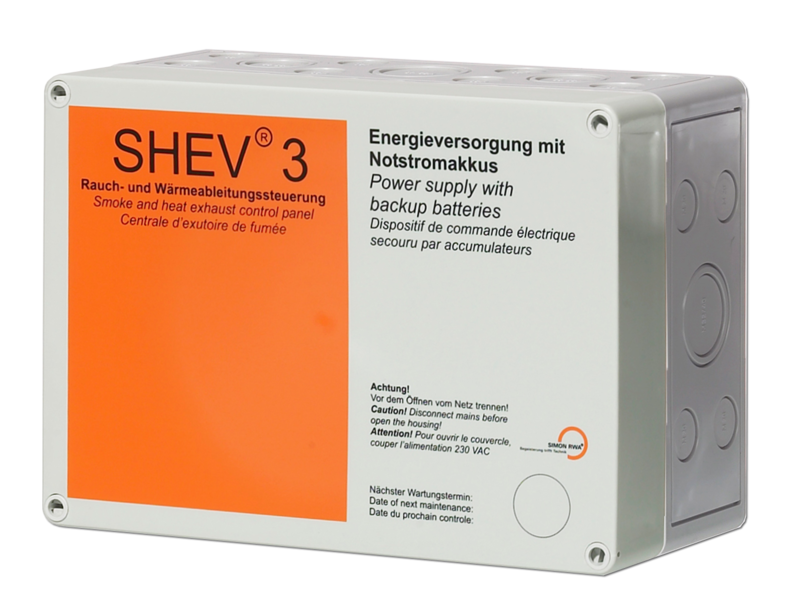 In the event of a power failure, the emergency power supply ensures the function of the SHE system for at least 72 hours.